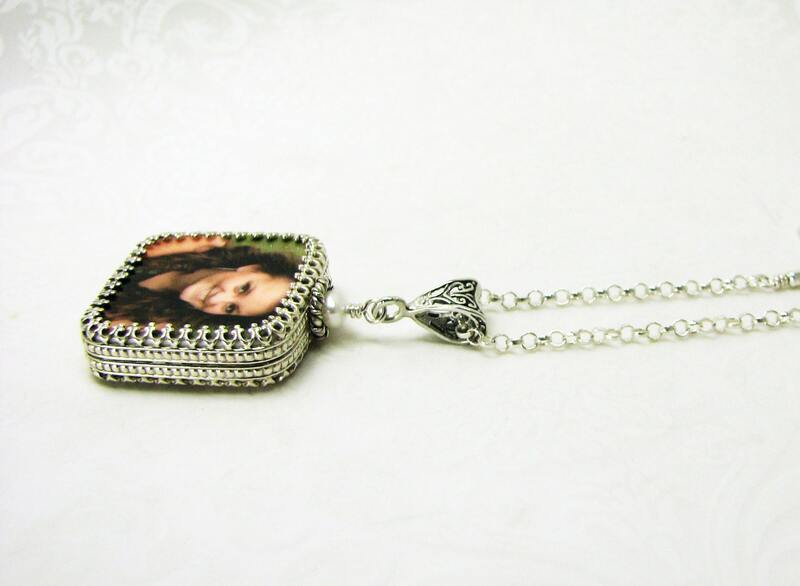 This gorgeous photo pendant holds a photo tile that measures 1" x 1". 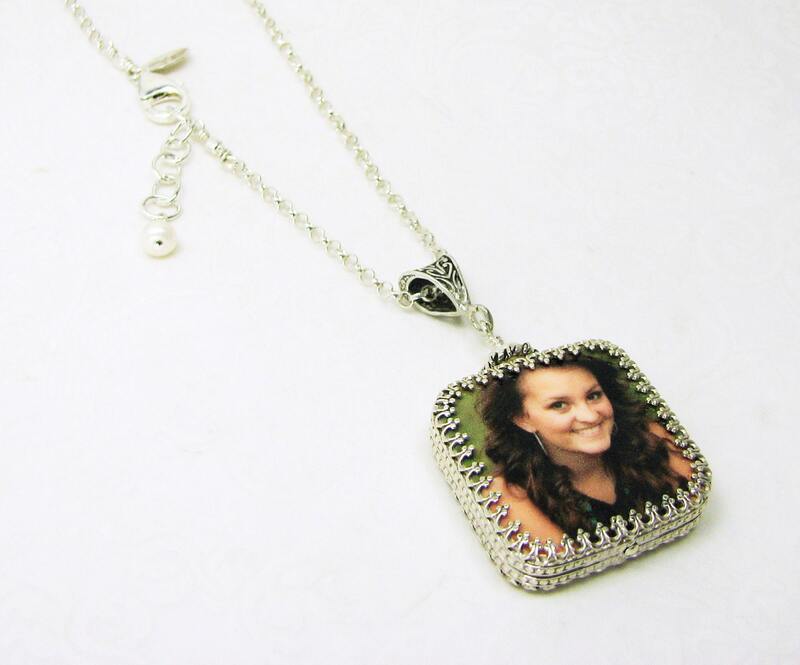 It's wrapped in my gorgeous sterling silver, Classic style frame. 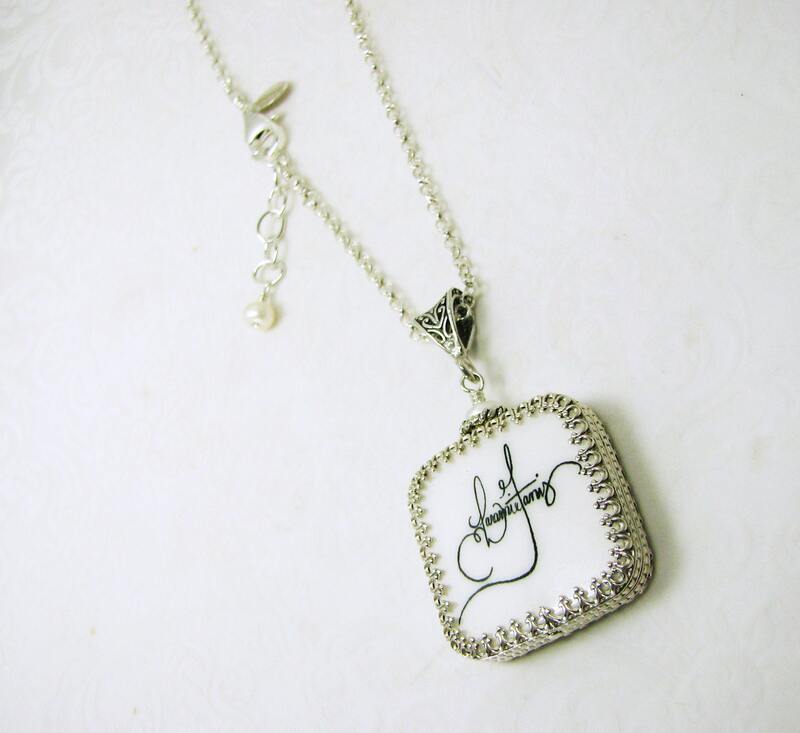 It comes on a sterling Rolo chain that is available between 18 - 24", and it has a 1" extender for your most comfortable fit. 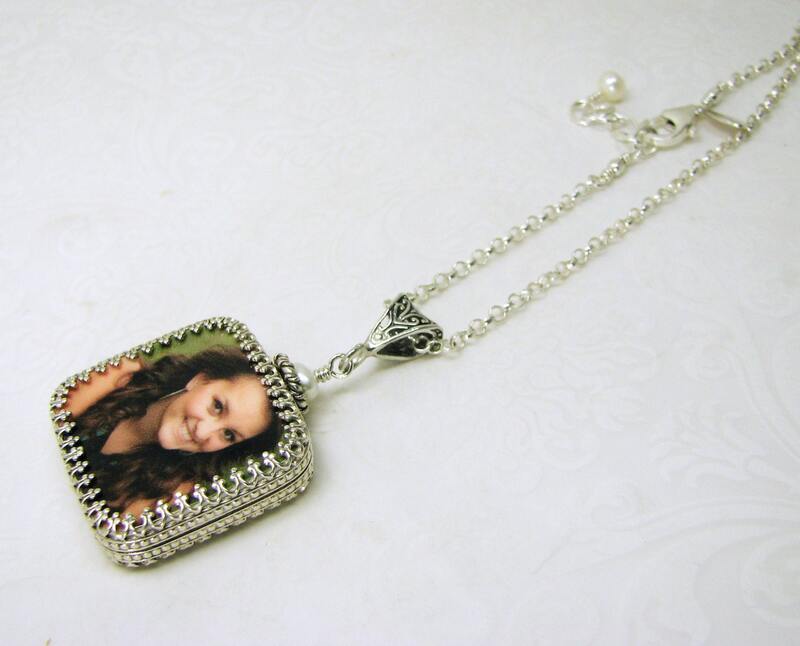 This photo pendant is designed to display two photos, and turns easily so that either one can be worn forward. 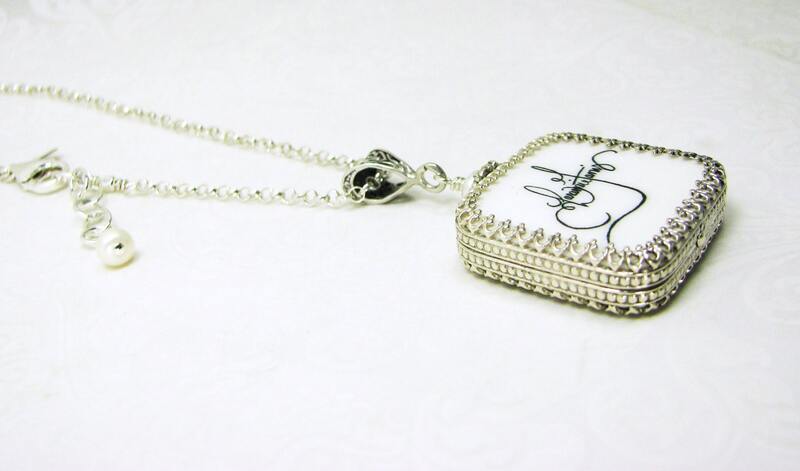 Also available in 14K Gold; quote by request.